Premier League Sack Race: Who’s Next in Line For The Chop? Earlier this week, Mark Hughes finally lost his grip on the Premier League’s managerial merry-go-round, and was sent spinning out of St. Mary’s and into footballing limbo. Hughes became the second manager to lose his job in the Premier League this season after Fulham parted ways with Slavisa Jokanovic last month. The Welshman’s departure also earned him an undesirable spot in the record books as the only Premier League manager to be sacked twice inside the same year. Stoke City parted ways with Hughes in early January, before Southampton bookended 2018 in the worst possible way for the 55-year old by terminating his contract. Hughes had been among the favourites to be axed in the notorious Premier League ‘sack race’, though new names and faces have now moved up to take his place. Let’s take a closer at some of most likely candidates for the chop. It feels as though Jose Mourinho has been hanging on to his job at Manchester United by his fingernails for an eternity now. United have had a disastrous domestic campaign in 2018/19 so far, littered with public fallouts, appalling performances and atrocious results. With Mourinho continuing to spew his bile in all directions, United are closer to the foot of the table than the top in terms of points. Champions League knock out stage qualification has offered a temporary salve of sorts, though United in their current form will really only be making up the numbers in the latter rounds. 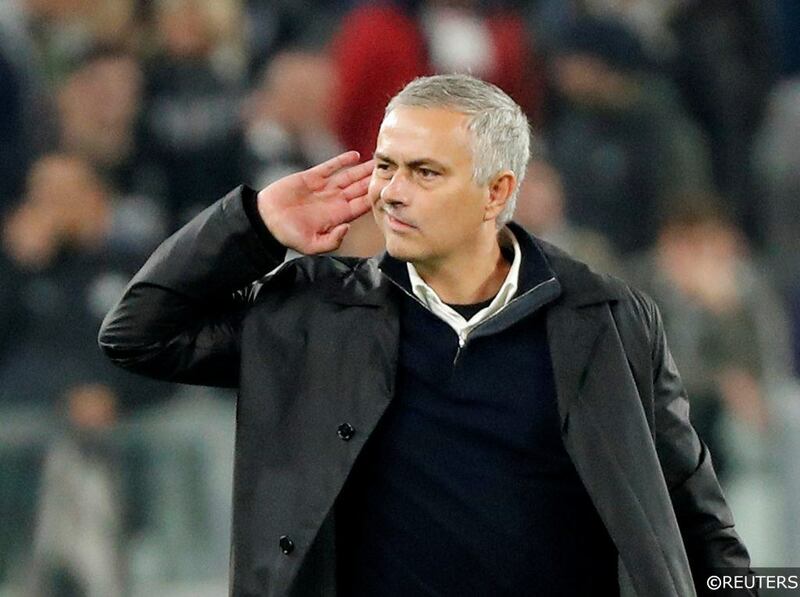 Mourinho’s short price to be sacked is an accurate reflection of how bad United have been this season, though a change in the dugout at Old Trafford doesn’t exactly feel inevitable. Club chairman Ed Woodward is notoriously slow on the trigger and United fans might be forced to endure the horrors of life under Mourinho for quite some time yet. The odds on Mourinho being sacked will shorten considerably if an injury-hit United are turned over by Arsenal at Old Trafford on Wednesday. New customers only. £50 bonus = 1x £20 bonus + 3x £10 bonuses for selected games with up to 60x wagering applicable. Deposit with credit or debit card only and wager £10 within 7 days of registration. Full T&Cs apply. Nuno Espirito Santo’s appearance as second favourite in the Premier League sack might come as a shock to some, though it helps to illustrate just how perilous life in top level management can be. Hailed as one of the most talented emerging coaches in England just a few months ago, Nuno Espirito Santo’s job now appears to be far from secure after Wolves’ recent Premier League woes. Wolves’ frustrating 2-1 defeat at Cardiff City on Saturday was their 5th loss in 6 league outings – a sequence that has seen the club with big ambitions slip to 12th position in the table. The identity of some of Wolves’ conquerors during that horrible period might have done more damage to Nuno Espirito Santo’s standing than the result themselves. Wolves were undone by Brighton and Huddersfield before their reverse at Cardiff and Wanderers only managed to register a single goal in that disappointing trio of fixtures. 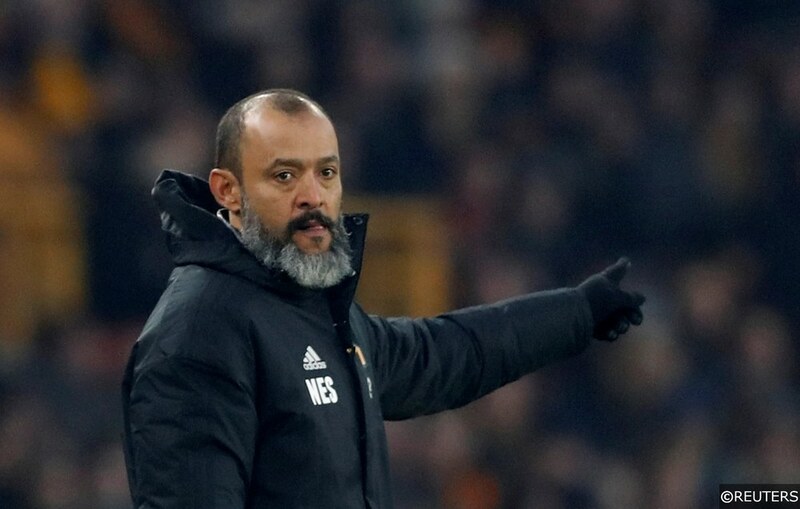 Nuno Espirito Santo is in dire need of a win, however his chances of masterminding a vcitory over Maurizio Sarri and Chelsea on Wednesday look decidedly slim. 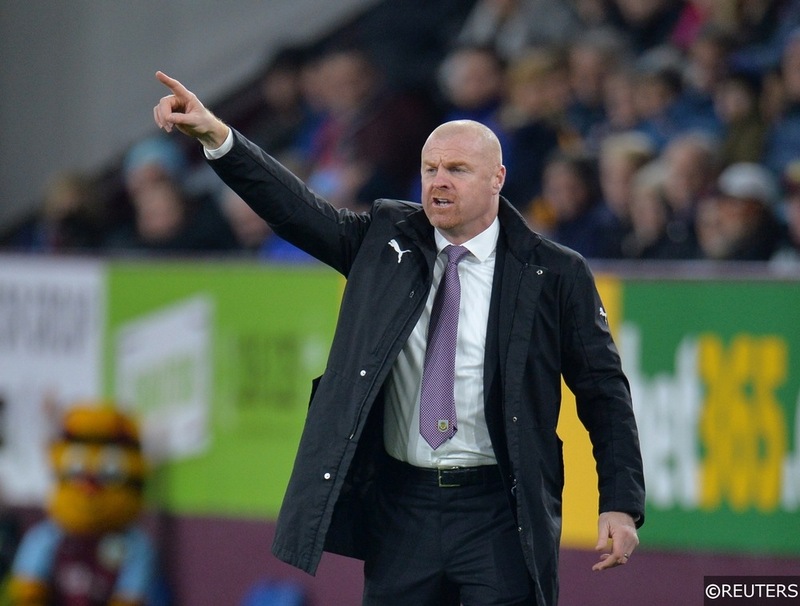 If the bookmakers’ odds are anything to go by, Burnley’s catastrophic start to 2018/19 has all but wiped out the reserves of credit and kudos Sean Dyche earned for his phenomenal achievements with the Clarets last season. Burnley’s failure to reach the Group Stage of the Europa League this season made their 7th place Premier League finish the season before a little redundant, and the premature end to the Clarets’ continental adventure looks to have flattened their players’ self-belief. Sean Dyche’s motivational powers also seem to have waned considerably, and Burnley have won just 2 of their 14 league matches since the summer. Talk of crisis might be a little over the top, though Burnley’s decision makers will be desperate to avoid being dragged into a relegation battle just a year after achieving their highest ever Premier League finish. With a quick turnaround in fortunes needed, a mid-week clash against title chasing Liverpool isn’t exactly the ideal fixture for Burnley to kick-start a recovery. A defeat at Turf Moor on Wednesday could send the Clarets to the foot of the Premier League table. Check out our expert match previews, predictions and betting tips for all the mid-week Premier League action here. Categories: Blog, Football, and Premier League. Tags: Jose Mourinho, Nuno Espírito Santo, Sack Race, and Sean Dyche. Team Tag: burnley, manchester united, and wolves. League: England Premier League. Sports: Football.